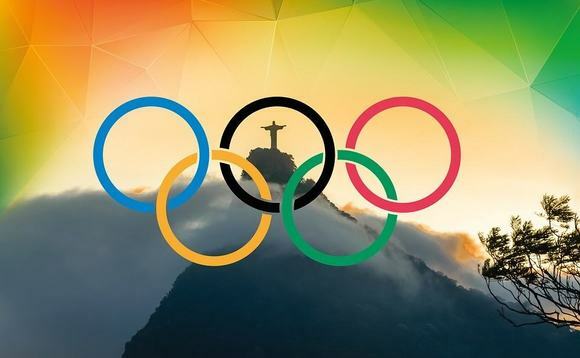 Investor excitement that often accompanies the award of major sporting event, such as the Olympic Games is usually misplaced, according to analysis by Old Mutual Global Investors (OMGI). Ian Heslop, head of global equities at OMGI argues that investors would do better to explore the potentially valuable information contained in equity markets, rather than to attempt to “forecast the unforecastable”. Heslop points that for all their excitement, “razzmatazz, and promised social and economic benefits”, history shows that the effect of major sporting events on equity market performance is impossible to predict. “By the end of the middle weekend of the XXXI Modern Olympiad, as a Brit, it was hard for me not to feel a tinge of pride at the collective achievements of Team GB.” said Heslop. “Hopes had been high for the team from the previous host nation, but by any measure Britain’s Olympians were delivering on their promise – big time. As the Rio Games draw to a close, although it may be some time before the true social and economic effects of the Rio Games are fully understood, Heslop is certain that Brazil’s equity market doesn’t exactly paint a rosy picture. Brazil is not alone. Over the 2,549 days from the bid win on 23 September 1993 to the opening ceremony of the millennial Olympics on 15th September 2000 in Sydney, Australian equities (as measured by the benchmark S&P/ASX 200 Index) rose 49.6% in US dollar terms, underperforming the MSCI World index by 101%. “The relationship between equity market performance and the long-term economic impact (positive or negative) of hosting the Games is similarly devoid of any clear pattern,” said Heslop. “While the Greek equity market enjoyed strong outperformance of the MSCI World Index in the period between Athens’s bid win and the opening ceremony, the huge cost to the Greek economy is now widely considered to have played an important contributory role in the country’s present economic crisis. “As we build our portfolios, the appeal of realised data – facts, as they might alternatively be called – remains enduring. We attach such great importance to statistical indicators such as changes in analyst sentiment, hard evidence of the impact of effective management teams and the emergence of potentially stable trends precisely because by doing so we negate the need to forecast the un-forecastable,” he said. He concludes that the Olympic Games while being a “marvellous spectacle” they are a “spectacularly poor” indicator of equity market performance. “We should enjoy them for what they are, rather than trying to construct investment portfolios in the misguided belief that it is possible to interpret how they might influence the fortunes of stock markets,” added Heslop.